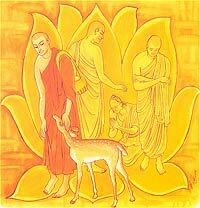 7X12 Sunday LESSON 715 மூன்று கூடைகள் திபிதகup a levelTIPITAKA from FREE ONLINE eNālāndā Research and Practice UNIVERSITY through http://sarvajan.ambedkar.org- Dhammapada Verse 378 Santakayatthera Vatthu-He Is Peaceful Who Is Free From All Worldly Things- BSP’s Sankalp Rally being organised on the death anniversary of its founder Kanshi Ram on October 9.
organised on the death anniversary of its founder Kanshi Ram on October 9.
vomited) worldly pleasures, is called a “Tranquil One”. At the end of the discourse Thera Santakaya attained arahatship. remembered in the history of India as a True leader of Bahujan Samaj . Rajasthan, protested against the cancellation of these two holidays. 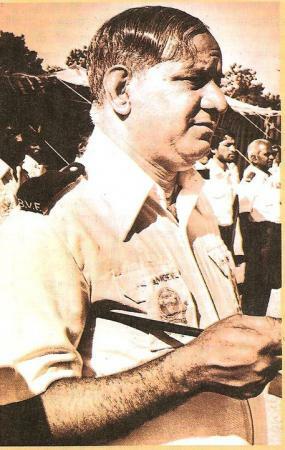 agitated Kanshi Ram fought the legal battle for Dina Bhana. will never marry and devote his life for social transformation. movement of all the victims of Brahmanism. their poor, oppressed brothers and sisters. It was a great loss for the movement when Dr. Babasaheb unexpectedly died on 6 th December, 1956 .
reverse direction rather taking ahead. 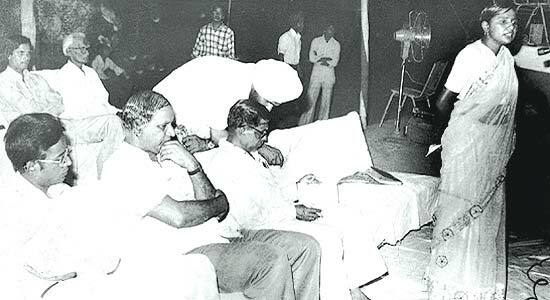 why Caravan of Dr Ambedkar was brought back rather than taking ahead. Buddhist Research Center (BRC), DS-4 and BSP. 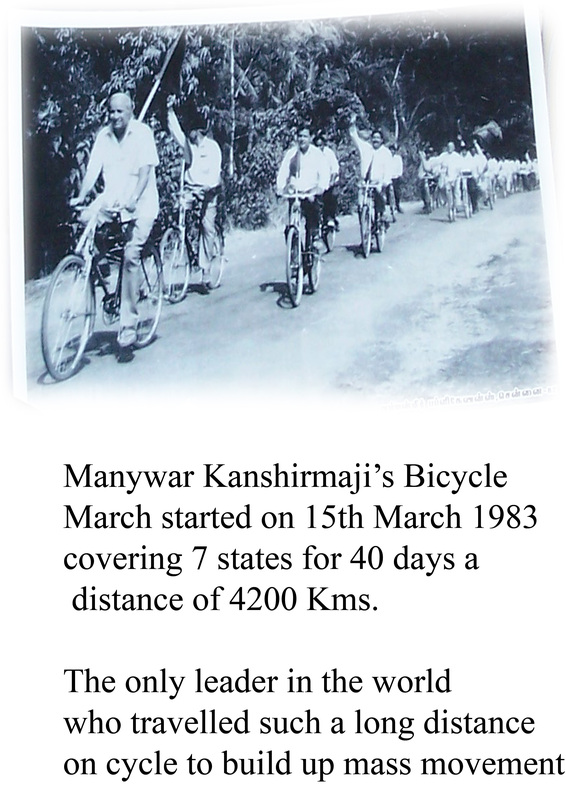 established a national network for further Kanshi Ram’s movement. 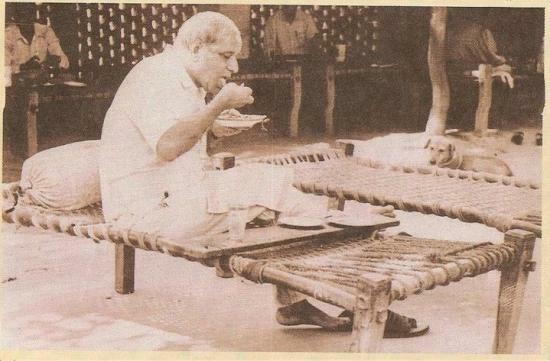 held at Chandigarh on 14 th -18 th October 1983 .
disadvantages of the Chamcha Age. A) Caste and Community-wise Chamchas. 1 ) The scheduled Castes - Reluctant Chamchas. 4) The Minorities - Helpless Chamchas. B) Party - Wise Chamchas. E) Chamchas of the Chamchas. deals with the Chamcha Age phenomenon in detail. into dustbin. Therefore, following the advice of Dr. Ambedkar i.e. prepare themselves for agitational and political action. exploit the 85% Bahujan Samaj. with an absolute majority in may 2007.
people and empower them. A great man indeed! them all, he was the eldest and most highly educated with a BSc degree. It was after he joined the struggle against the abolition of Dr.
to help the oppressed rise from the ditches they were tossed into. association was to educate and create awareness about the caste system. caste system, how it functioned in India and the teachings of Ambedkar. Ambedkar and his views through pictures and narrations. attacks on the workers who were spreading awareness on the caste system. just accept that they were not capable of fulfilling their promises. of the Bahujan Samaj Party. Quit his job to start Scheduled Castes, Scheduled Tribes, Other Backward Classes and Minorities Employees Welfare Association. 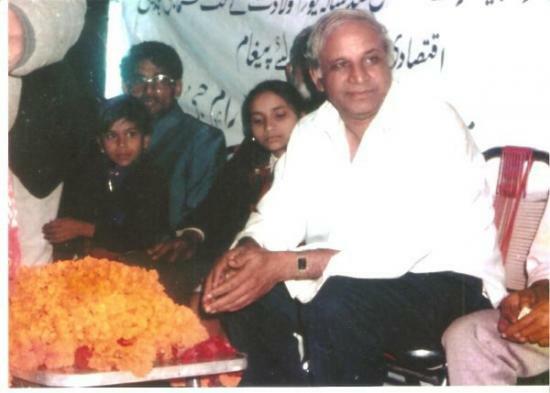 Established the first functioning office of BAMCEF in Delhi. 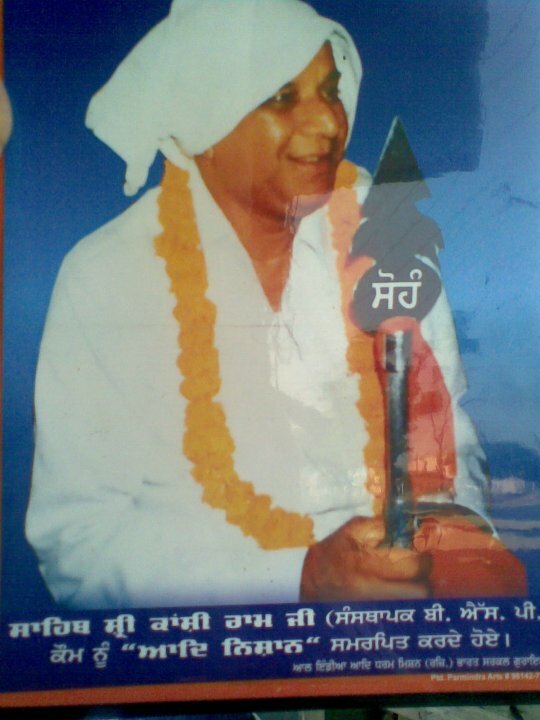 Founded the Dalit Soshit Samaj Sangharsh Samiti. Established the Bahujan Samaj Party. 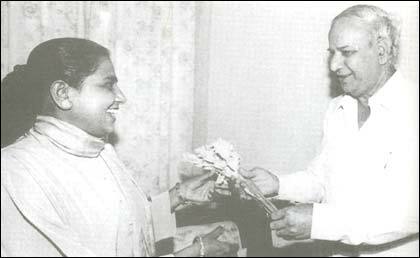 Behan Mayawati with her mentor Sahib Kanshi Ram Ji. 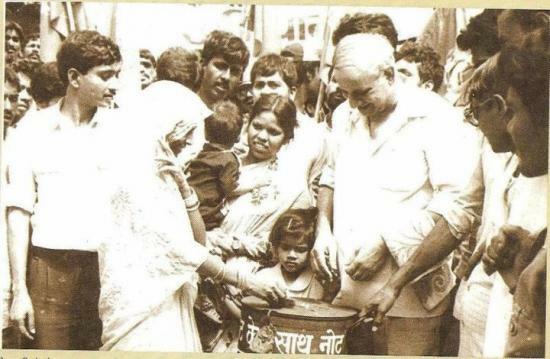 Sahib Kanshi Ram Ji with his supporters. P.P.S. 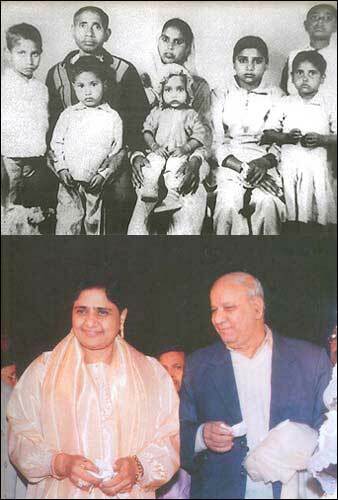 : In case you liked the above rare pictures please click on Like button and share it with your friends! the ruling Samajwadi Party government finds itself in a fix - to declare the day a public holiday, or not? if they don’t, the SP government would be tagged anti-SC/ST. secretariat administration does mention October 9 as a public holiday. When contacted, Lucknow district magistrate Anurag Yadav said that since the notification had been issued there remained no doubt that it would be a holiday. Built on 86 acres of land, Manyawar Shri Kanshiram Ji Smarak Sthal in Lucknow (Uttar Pradesh) India, is an example of excellent architecture and latest techniques. crore, Rs 30.84 crore and Rs 30. 41 crore, respectively. stand clear about the FDI in retail among other issues. 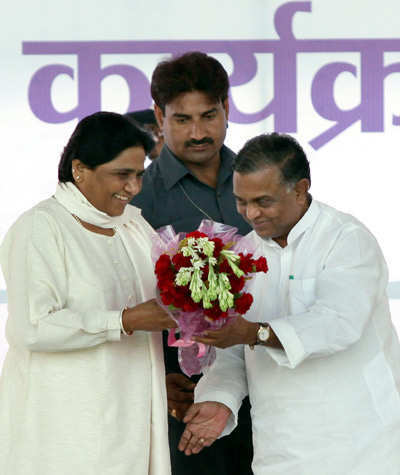 government led by Mayawati, Maurya said. Practice of Hatred and anger is madness. Mental asylum is the right place for those who practice it. LUCKNOW: The Bahujan Samaj Party on Thursday accused the ruling Samajwadi Party of conspiring to malign its image by misusing powers and levelling baseless and false allegations against its leaders. in Labour and Construction Cooperative Federation (LACCFED) without any evidence. 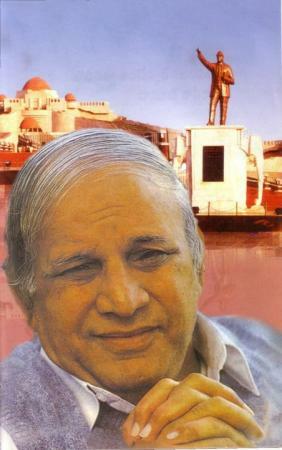 LUCKNOW: The Samajwadi Party government on Saturday cancelled the public holiday on the death anniversary of Bahujan Samaj Party founder Kanshi Ram on October 9. drawing criticism from the party, which is gearing up to hold a public rally on the same day. birthday was also declared a holiday, but not under the Act. had been sent the circulars to this effect. 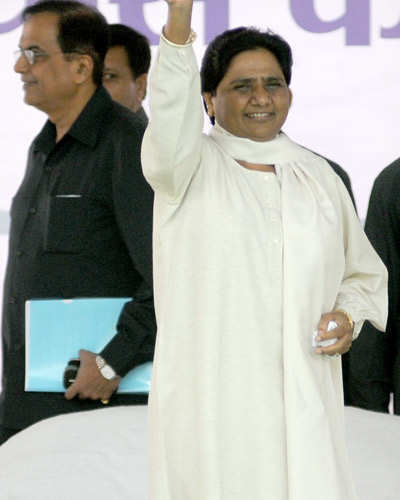 the founder of a political party headed by arch-rival Mayawati.